Welcome to my Home Page! I hope the following will give you a better understanding of thought reform and my approach to helping individuals make a fully informed choice in a way that is consistent with the ethical standards that myself and my colleagues who have worked so diligently to develop. 3. varying symptoms of post traumatic stress syndrome (being "triggered" into the thought processes or feelings associated with the group). And along with education, we need support -- support of people who have been there. This page and the links provided will point you in the direction of helpful resources available to you. Please be sure to visit my "Recovery Issues" page. To those of you who are concerned about a family member or friend's affiliation or participation with a questionable group, I hope this site will also point you in the direction of valuable information and resources. If you are clergy and are helping former cult members, please read my Open Letter to Clergy. Experience: Carol Giambalvo’s interest in cults and thought reform began in 1978 when her step-daughter began exhibiting a drastic personality change following becoming a devotee in ISKCON. She began researching cults and thought reform and lectured in local high schools, churches and civic organizations. The more information she gathered on the indoctrination processes and thought reform used in cults, the more concerns arose about her involvement in est and The Hunger Project. In 1983, she and her husband, Noel, left their associations with est, The Hunger Project and Sterling Institute and began a personal search for information to aid their recovery process. Since 1984, Carol has done exit counseling and writing in the field, as well as serving as director with several organization’s boards, organizing and conducting recovery workshops and working with hundreds of people who have walked away from destructive cults. 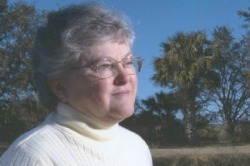 Personal: Carol currently resides in Florida. She is the parent of two children and the step-parent of three, with eight grandchildren and eight great-grandchildren. She is currently retired from family intervention work, but serves as a consultant and Director of Recovery Programs for the International Cultic Studies Association (ICSA) and serves on their Board of Directors.